The reality for high-speed transportation systems à la The Jetsons might be closer than we think. As part of the Build Earth Live contest organized by Dubai Future Foundation and Asite, contestants are challenged to design a Hyperloop link project to lessen the travel time between Dubai and Fujairah to whisk passengers in – guess what- 10 minutes. The Hyperloop concept is a high-speed transportation system proposed by Tesla co-founder Elon Musk, with the research open sourced to the public for individuals and companies to work on. 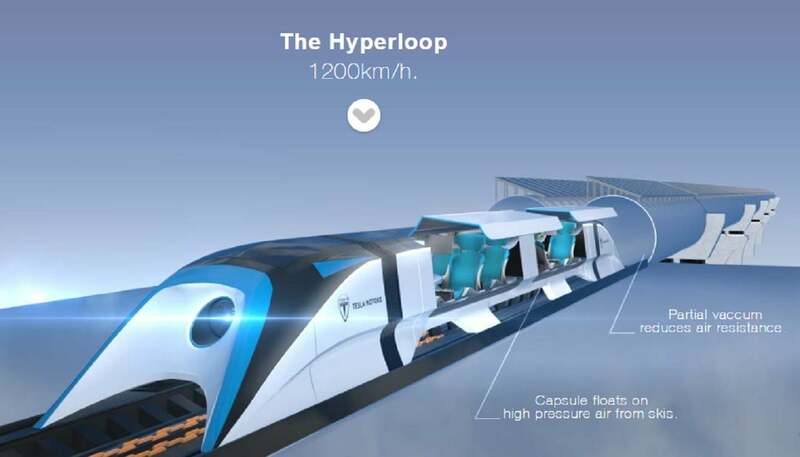 It involves low-pressure tube systems linked to stations with passenger capsules traveling at the speed of up to 1200km per hour, with the technology able to reduce the time to travel between New York and Beijing down to two hours. The possibilities are endless- and with a lot at stake, the 48-hour competition has more than 100 contestants signed up from international teams and enterprises with various engineering and scientific background. Before the contest, participants will receive a high level design brief, concluding with six teams presenting their project for a panel of judges in the final round. And that’s not all for the sector: last month, the Dubai Future Accelerators program was announced, encouraging people to submit and develop their working prototypes to solve key challenges in various government bodies. Plus, initiated by UAE Vice President and Prime Minister and Ruler of Dubai H.H. Sheikh Mohammed bin Rashid Al Maktoum, the Dubai Future Agenda also includes projects such as autonomous transportation strategy, a joint venture between the Dubai Future Foundation and the RTA to transform 25% of the city’s transportation to autonomous mode by 2030. All of this goes to say, that with respect to the transportation sector, the UAE looks to be keen on stepping up its game.